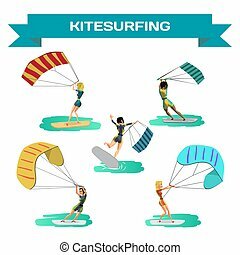 Extreme water sports set, waterski, flyboarding, windsurfing, surfing, paddleboarding, wakeboarding water sport activities cartoon vector illustrations isolated on a white background. 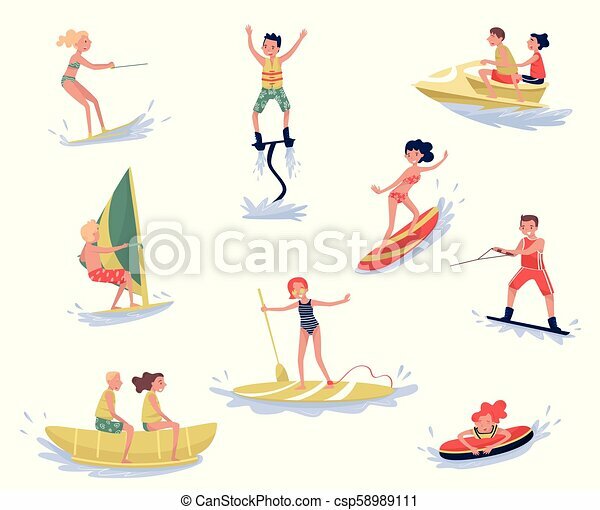 Set of cartoon people characters involved in extreme water sports. 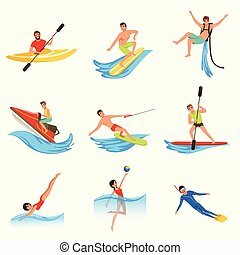 Young sportsmen. 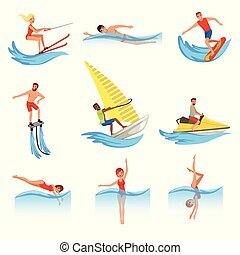 Cheerful women and men in swimming suits. 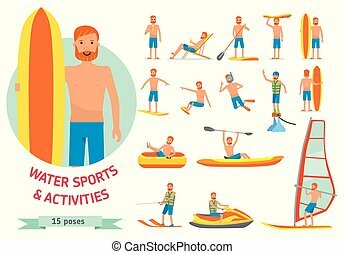 Active summer recreation. 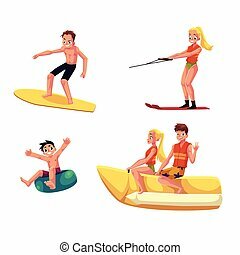 Flat vector illustration isolated on white.